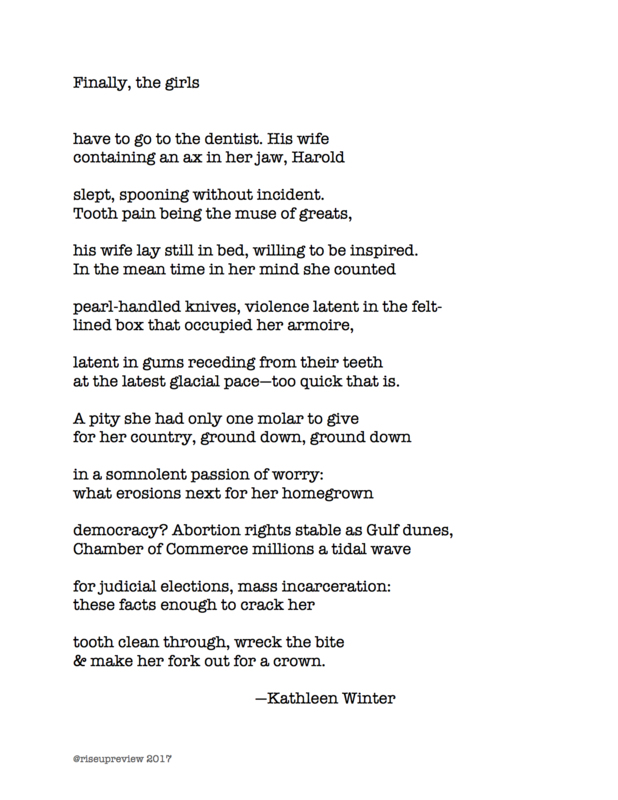 Kathleen Winter’s collection Nostalgia for the Criminal Past (Elixir Press) won the Antivenom Poetry Prize and Texas Institute of Letters 2013 Bob Bush Memorial Award. Her poems are forthcoming in AGNI, The Michigan Quarterly Review, Prairie Schooner, The Yale Review, 32 Poems and Barrow Street. She received fellowships from the Dora Maar House, James Merrill House, Cill Rialaig Retreat and Vermont Studio Center. In 2015 Winter was the Ralph Johnston Fellow at the Dobie Paisano Ranch. She was awarded the Rochelle Ratner Memorial Prize in 2014 and the Poetry Society of America The Writer Magazine/Emily Dickinson Award in 2016.